Lip color tends to become paler over the years. Tired of re-applying your lipliner and lipstick over and over again during the day? Do the current all day lipstick brands make your lips dry or chapped? 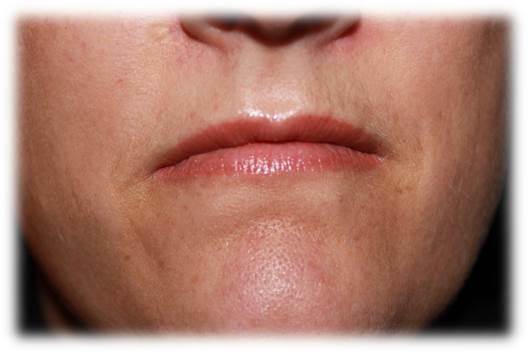 Would you like more definition, the illusion of fuller lips, or to correct a crooked lip line? Just wish you had back some of the color intensity you had when you were younger? If you’ve ever had that twenty dollar tube of lipstick melt in your purse, then permanent lip color may be just for you. Lipliner can be applied to give more definition, correct uneven lips, or add the illusion of fullness to the mouth. The procedure also helps prevent lipstick from bleeding and can minimize the appearance of wrinkles. For those clients who want dramatic fullness, we recommend full lip color and then a visit to a properly skilled physician for fillers. Full lip color can be applied in either a natural hue or a more vivid one. Wear your permanent lip color alone in a natural tone or apply different shades of lipstick over your permanent lip color for a more dramatic look–you will have a color that lasts all day. I avoid doing only lip liner as it heals looking like a pen thin line around the edge of the lip. 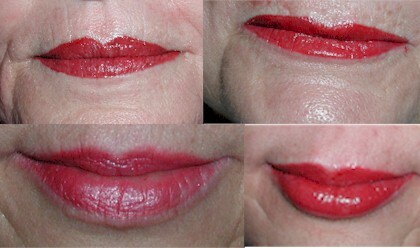 If you want more of a lip look we can do the line with a blended fill. It is not a full fill, but a softer smudgier finish than only the line. 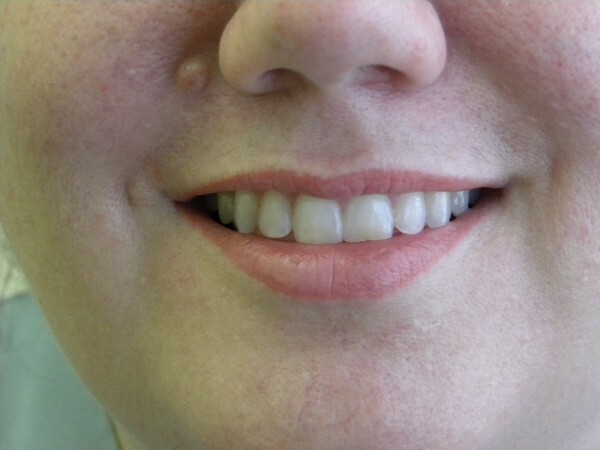 Lips can be very sensitive so we do a special numbing technique prior to the procedure. This takes about 45 minutes and is done regardless of whether you prefer the full lip color or the blended edge. Coloring in a lip takes twice the time of filling in an eyebrow or doing an eyeliner. Also, full lip color may take 3 visits instead of two. If you have ever had a cold sore or fever blister, it is extremely important that you be on an anti-viral medication obtained through your physician prior to the procedure and a topical over the counter product in case of any break-thr ough lesions. 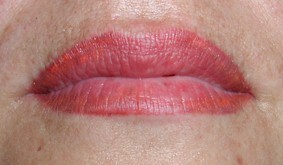 Re-Enhancement: Lip color holds longer than eyebrows or eyeliner. If you keep your lips re-enhanced within every 5 years it is 1/2 price and a single visit. Older work generally takes more to make it look fresh and pristine. It is full price and includes multiple visits.